Nail polish is one of the most noticeable accessories for women and non-toxic nail polish is in vogue these days. 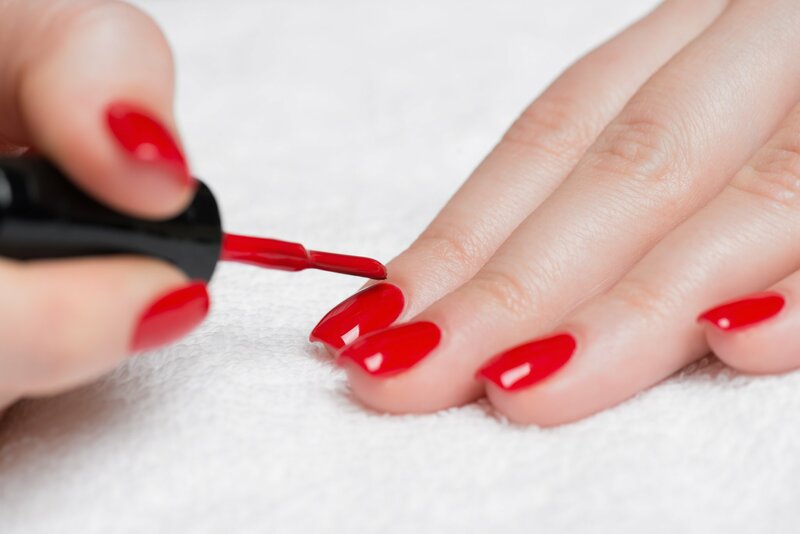 The majority of nail polish brands use chemicals like phthalates and formaldehyde which are toxic in nature. Natural nail polish has recently gained immense popularity and wide acceptance in view of its unmatched charm and safety for human health. Using a chemical free product to glamorize the looks is the real fashion! Opting for a healthier lacquer to paint the nails provides exposure to harsh and hazardous chemicals to the user and people around. Why Choose Non-Toxic Nail Polish? Opt for Better Health: Chemical-based nail polish exposes a person to plenty of health hazards including cancer. Toluene which is a common component of a toxic nail polish has been recognized as a harmful substance for the nervous system. Opting for a non-toxic version of the same will eliminate the chances of unnecessary exposure to harmful ingredients. Conserve the Environment: The chemical components of a toxic nail polish are not only harmful to us but they are hazardous to our environment as well. Taking into account the manufacturing of the products, exposure of workers to these chemicals, the whole toxic process, and usage of toxic nail polish poses a threat to the environment. Non-toxic nail paints are on the other side offer a safe and eco-friendly choice. No Smell: At times the unpleasant strong aroma of an ordinary nail polish induces a headache. The smell comes from the strong chemical formulation. Nail polish made up of natural ingredients is free of odor and do not induce such problems. Safe for Kids: With the strong smell and toxic composition, an ordinary nail polish is a big no for the kids to be around. The usage of non-toxic variant eliminates the chances of children being exposed to dangerous chemicals. Hazardous waste: Just like chemical based paints and solvents, ordinary smelly nail polishes pollute the ground. On the other hand, non-toxic nail polish colors are not hazardous when disposed of. Good for Nails: Women often complain of brittle, yellow, or chipped nails. This often results from the regular usage of cheap nail polish. Organic nail polish, on the contrary, does not compromise the health of nails. Choosing natural cosmetic products help to keep the environment and personal health in good shape. It is imperative to stop the usage of toxin-based chemicals for the sake of fashion. Choose a non-toxic nail polish remover in conjunction with an organic nail polish. Where To Buy Non-Toxic Nail Polish? Keeki Pure and Simple Non-Toxic Polish: It is one of the common brands of organic nail polish that comes available for online purchase. Find a store through online search. Visit the official website of the provider to locate a store in the desired city. For those located outside the United States, there are special arrangements for direct orders. Hopscotch Kids Water Colors: It comes in delightful colors for kids. Available in plenty of hues, it also comes available for online purchase. Finding a retailer for Hopscotch is also easy. Other top notch brands for non-toxic nail paints include Piggy Paint, Honeybee Gardens, No-Miss, Acquarella, Suncoat, Gaiam, Peacekeeper Cause-Metics, Nubar, Sante, Priti, and Spa Ritual. All the options are fragrance-free or with very slight odor. All the aforementioned brands are free from Dibutyl Phthalate, Formaldehyde, and Toluene. In addition to the salon style appeal of branded non-toxic nail colors, they also offer a strong staying power. They are chip resistant and last longer. It is imperative to make responsible decisions to ensure that our vanity doesn’t pose any hazardous effects on us and our environment. Stop coating the nails with poison, go green with a non-toxic nail polish!